When it comes to modern American society and politics, there is a disturbing trend among the youth to gravitate towards Socialism. A growing number of Millennials and younger will proudly tell you that Capitalism is a system of greed, corruption, and selfishness that merely enriches the already rich and hurts the poor. To them, the perfect form of government is a system that redistributes the wealth of the rich so that everybody is equal. Former President Barack Obama and the Democratic Party have dabbled in this idea every time they have raised the American people’s taxes and failed presidential candidate Bernie Sanders has openly proclaimed the glories of Socialism. What’s alarming about all of this, and perhaps this speaks to the education system in America, is that Socialism has done more to drive millions of people into mass starvation and poverty while capitalism has done more to lift people out of poverty than any other economic system in human history. Russia tried Socialism, in the past, after overthrowing Nicholas II. Socialism quickly turned to Communism and millions of people lost their lives through starvation. Cuba went through a similar transition in 1959 when revolutionary Fidel Castro established a socialist state. That socialist system of government became full-blown Communism in 1965 and the Cuban people have been trying to flee the island ever since. The latest in the long list of failed socialist experiments is Venezuela. The Left’s late-great hero Hugo Chavez took the South American nation into a Marxist revolution that has resulted in a crack-down on free speech, a takeover of the private sector by the government, and skyrocketing inflation that has led to mass starvation and misery. 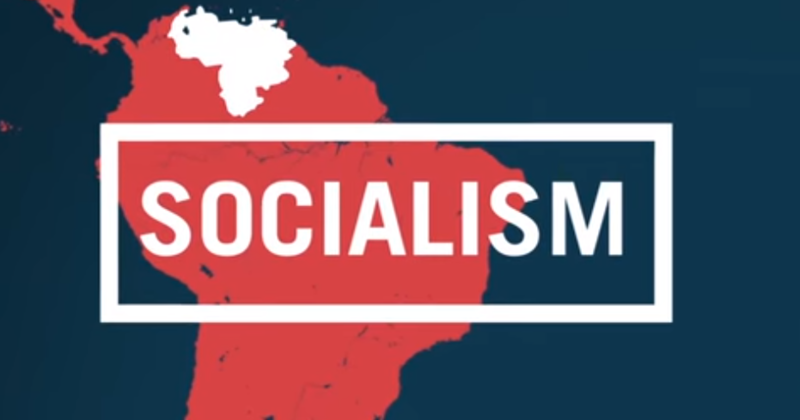 Prager University has released another brilliant video that chronicles all of this. Take a look at it below, and don’t forget to share this with people who you think need to know the truth of what a socialist revolution could do to the United States.